#PostcardsFromAfrica |The joint winners of the 2016 Brunel University African Poetry Prize are….. The joint winners of the 2016 Brunel University African Poetry Prize are Gbenga Adesina (Nigeria) and Chekwube O. Danladi (Nigeria). Gbenga Adesina lives and writes in Nigeria. 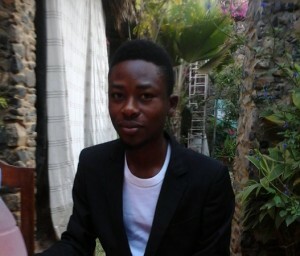 His poetry, essays and reviews have been featured or are forthcoming in Harriet’s Blog for the Poetry Foundation and in Jalada, Premium Times, Brittle Paper, Africanwriter.com, One Throne, Vinyl, Prairie Schooner and Soar Africa. Chekwube O. Danladi was born in Lagos, Nigeria and raised there, as well as in Washington DC and West Baltimore. 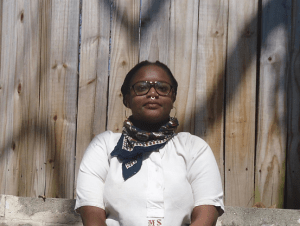 A Callaloo Fellow, her writing prioritizes themes of teleological displacement, navigations and interrogations of gender and sexuality, and the necessary resilience of African and Afro-diasporic communities. These winners emerged from a shortlist of ten and this includes the Somali-British poet; past winner, Warsan Shire, whose poetry was recently featured in a music video by the renowned artiste, Beyoncé. This is the fourth year of The Brunel University African Poetry Prize, a major poetry prize of £3000 aimed at the development, celebration and promotion of poetry from Africa. The prize is sponsored by Brunel University London and Commonwealth Writers. It is open to African poets worldwide who have not yet published a full poetry collection. Each poet has to submit 10 poems to be eligible. The judges this year are the poets, critics and academics: Dr Kwame Dawes (University of Nebraska), Dr Tsitsi Jaji (University of Pennsylvania), Dr John Keene (Rutgers University), Dr Helen Yitah (University of Ghana), and Chair and founder, Dr Bernardine Evaristo, Professor of Creative Writing at Brunel University London. Out of a record-breaking 900 entries, the judges came up with a shortlist of ten poets. The Prize works closely with the African Poetry Book Fund (APBF) at the University of Nebraska. The winners and most of the shortlisted poets of the past three years have had poetry pamphlets published with APBF in their ‘New Generation African Poets’ series of box sets, in partnership with the publishers Slappering Hol Press and Akashic Books in the USA. Congratulations to all the shortlisted poets and the joint winners!